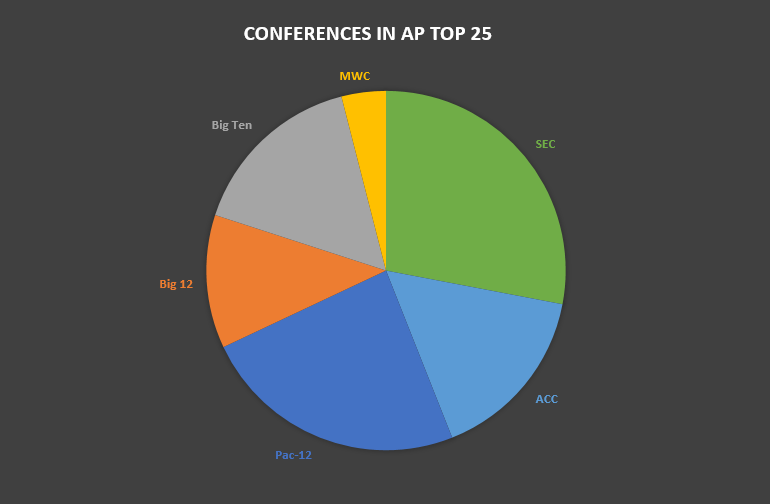 Over the rest of the bowl season, I will begin analyzing how the conferences and football teams performed through the regular season. 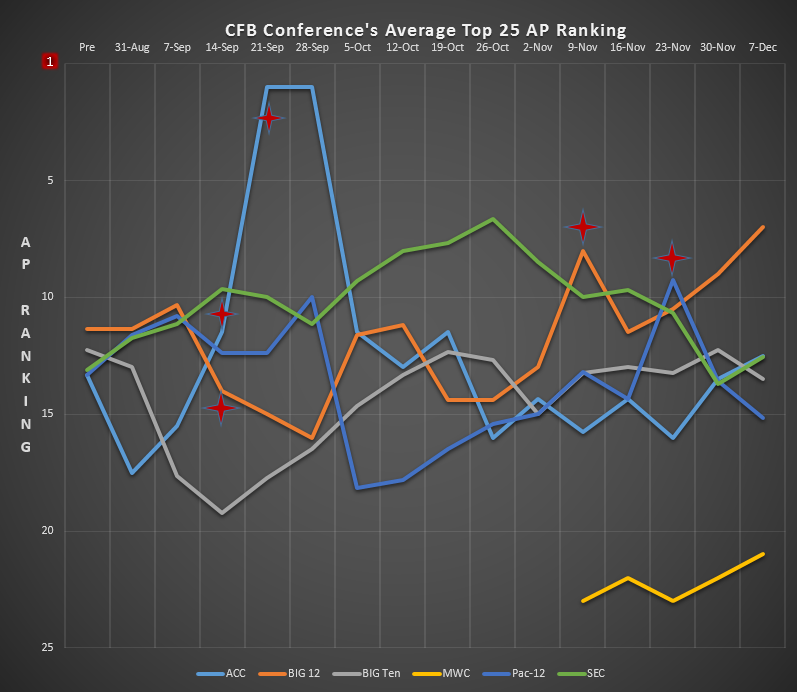 This first edition focuses on the Conferences’ average AP Rankings as the season progressed. It is obvious when major upsets and key victories occurred just by studying this chart. The red star notates changes in the chart caused by teams entering or falling out of the Top 25. 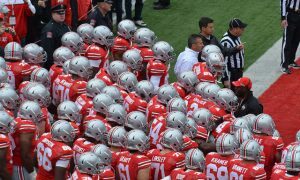 October 5th – The losses of Alabama, Oregon, UCLA, USC, Wisconsin, Oklahoma, Stanford, and Texas A&M. November 16th – Georgia tech with a convincing 28-6 win over Clemson, Georgia beating Auburn, Arizona State loses at Oregon State 27-35,Wisconsin stomps Nebraska 59-24, Auburn loses and Notre Dame falls out of the Top 25 with a 40-43 loss to Northwestern. 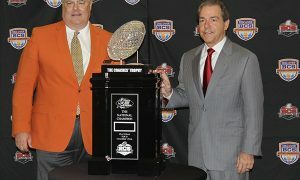 November 23rd – Ole Miss losing to Arkansas 0-30, Clemson entered the Top 25 again with a 28-0 win over Georgia State, Utah and USC both fall out of the Top 25 (raises the Pac-12 average).